Third seeded Nasir Iqbal provided a home winner in the President Gold Cup International in Islamabad as he beat the USA's Todd Hattiry in straight games in the final, his 10th PSA crown. 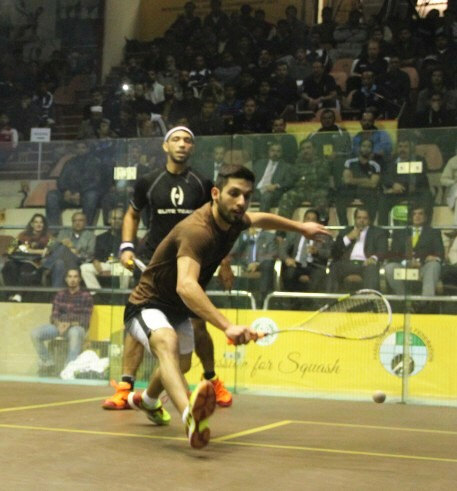 Top seeded Egyptians Omar Abdel Meguid and Karim Ali Fathi were both beaten in the semi-finmals of the President Gold Cup in Islamabad, Pakistan. 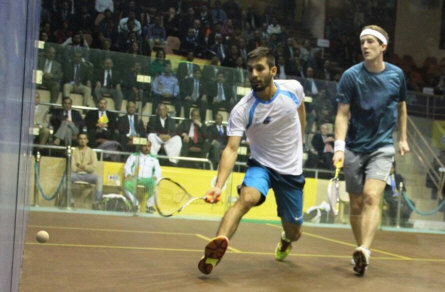 Top seed Meguid, having survived a long five-setter against Farhan Mehboob in the quarter-finals, faced a third successive Pakistani opponent and didn't have enough left in the tank to see off Nasir Iqbal, the fourth seed recovering from a game down to reach the final. 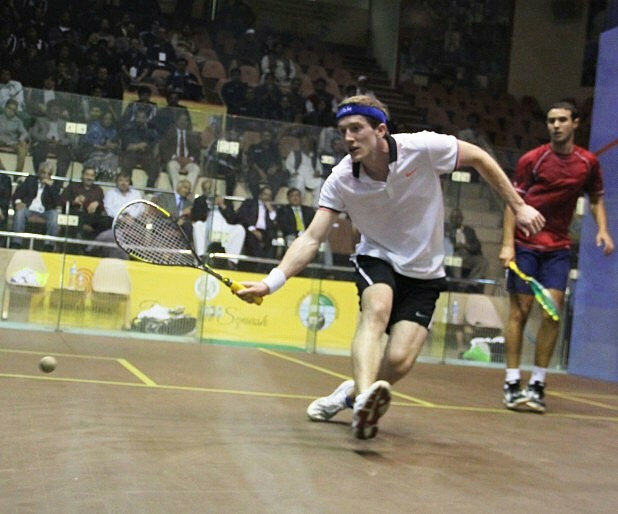 Second seed Fathi was up against fourth seed Todd Harrity and founfd himself two games down to the American #1. Fathi recovered to force a decider but it was Harrity who took the final game 11/4 to reach his biggest PSA final to date. Nasir Iqbal is the last remaining hope of a home victory in Isdlamabad as the top four seeds win through to the semi-finals, Iqbal beating Jodan's Ahmad Ajsaraj in straight games. 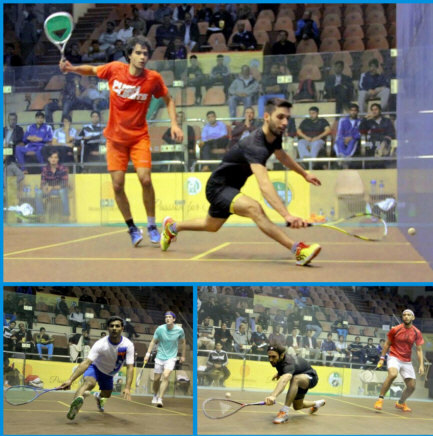 An all-Egyptian final is still on the cards though, with Omar Abdel Meguid coming through a five-setter to beat Farhan Mehboob while Karim Ali Fathi, the sedond seed, beat Danisdh Atlan Khan in four games. 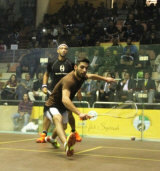 In the semis Meguid meets Iqbal while Fathi faced American #1 Todd Harrity.